#1 Riga’s Central Market is one of Europe’s biggest markets. It is famous for its pavilions where in earlier times the gigantic zeppelins were kept after World War I. #2 Having 64,589 km² of area, Latvia is certainly a huge country in EU when compared to such countries as Switzerland, Slovenia, Montenegro, Estonia, Cyprus, Croatia, and Albania. #3 A Latvian invented the jeans you are wearing now. At the age of 23, Latvian tailor Jākobs Jufess (Jacob W. Davis) moved to the US. In 1870, some lady asked him to make a strong pair of trousers for her husband who was a woodcutter. He created a template for modern denim jeans and later with a financial help from Levi Strauss, he patented the product. #4 Riga Black Balsam is a traditional liqueur made of 24 ingredients – plants, flowers, buds, roots, oils and other natural components. When Catherine the Great became ill during a visit to Latvia, Riga Black Balsam cured her. #5 In Latvia you can go to prison voluntarily. In Liepaja, Karosta you can find a former military prison which now serves as a sightseeing place and a hostel for those who are looking for a thrilling experience. Guests can have the full prisoner experience with all-time exclusive – uniformed officers, verbal abuse and organized physical exercises. For some reason, this is also a popular activity for bachelor parties. #6 Remember the movie The Dictator (2012) with actor Sasha Baron Cohen and his impressive entrance with a Golden SUV? Guess what, this car has was made in a Latvian company named Dartz. The Dictator used armored car called Dartz Aladeen Edition Prombron and it can be purchased for approx. 500 000 USD. This car also is popular among celebrities like Jay-Z and Kanye West. Kanye West even owns two of them. 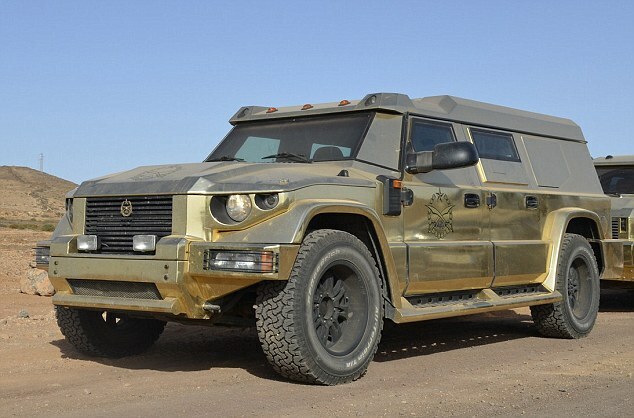 The world’s most expensive and fastest armoured SUV: the Dartz Prombon Aladeen Edition – as featured in Sacha Baron Cohen’s new movie ‘The Dictator’. #7 Approximately 54 % of Latvia is covered with forests and it is among the greenest countries in the world. #8 Latvians love to sing. We have over 1 million folk songs and every 4 years, an impressive Song and Dance festival takes place in Riga where on a single stage you can see more than 15 000 people singing and 16 000 Latvians dancing traditional folk dances. #9 Friedrich Wilhelm Ostwald was the only Latvian who has ever won a Nobel Prize in 1909. #10 In 2004 Latvia became a member of NATO and EU. #11 Karostas Bridge in Liepaja is the only turning bridge in Baltic countries. It has been made according to Gustav Eifel sketches. #12 Latvians believe in the magic of special numbers and dates. On 07.07.2007, 748 couples got married, which is 10 times more than usual. #13 We love to talk to our friends. In 2012, 4 persons set up a new world record having the longest phone conversation – 54 hours and 4 minutes. #14 Donald Trump really likes our Latvian basketball player. In 2017 our president received an email from US president Donald Trump. Apart from the message that Donald Trump appreciates Latvian military investment in NATO, in conclusion of his letter, the U.S. President said: “As a New York Knicks fan, allow me to say how much I appreciate the investment in Latvian basketball star Kristaps Porzingis.” Kristaps Porzingis is one of the top NY KNICKS basketball players. #15 When the new National Library was built, it was a big event for all Rigans. There was a special event held called ”The chain of books’ friends” – a 3 km long people chain passing books from hand to hand until the last book reached the new library. Despite the very cold January day, there was a tremendous turnout – 14 thousand people joined from all over Latvia and the Baltic States, as well as from Germany, Sweden, USA, and Russia. #16 Mairis Briedis is a Latvian boxing star. Briedis owns the World Boxing Champion title of 90.7 kg. Out of 21 fights, he has won 21. #17 Latvian language is exotic. It is spoken by approximately 1.8 million persons in the country plus 400 000 abroad. Another interesting fact is that in a specific Latvian region you can hear the rarest existing European language – Livu language. Only around 200 persons still know this language. There used to be 28 000 people who used the language daily. #18 Sister cities of Riga are Aalborg in Denmark, Norrkoping in Sweden, Pori in Finland, Stockholm in Sweden, Prague in Czech, Bremen in Germany and Dallas in the USA. #19 In city Valmiera you can visit a place called “The Bachelor Park”. #20 Foreigners often mix up Latvia with Lithuania. There have been several cases that even public persons have stated that the capital of Lithuania is Riga (or vice versa). 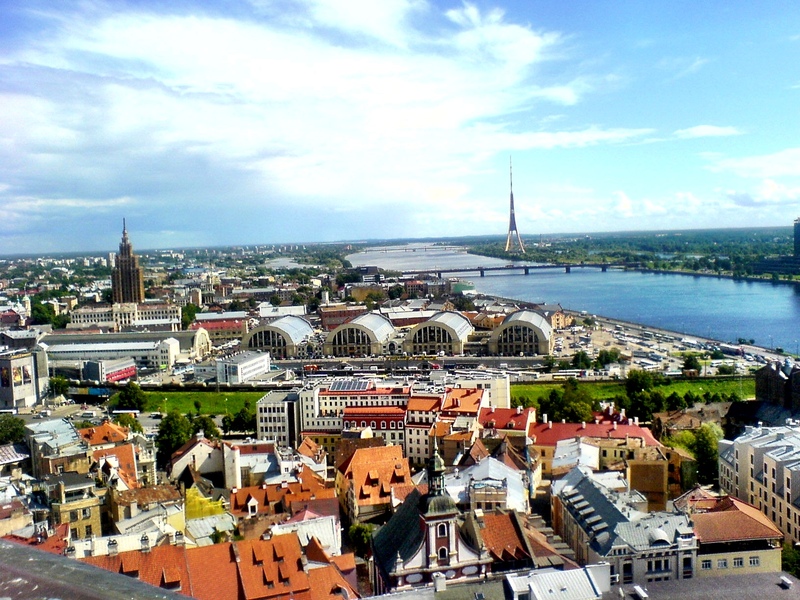 In 2006, Great Britain published a book in which Riga was named as a capital of Lithuania. #21 We love our bread and since childhood, we have been raised to treat it with love and respect. Latvians have many recipes for the bread that keep it well, so it stays good for even up to 4 weeks. 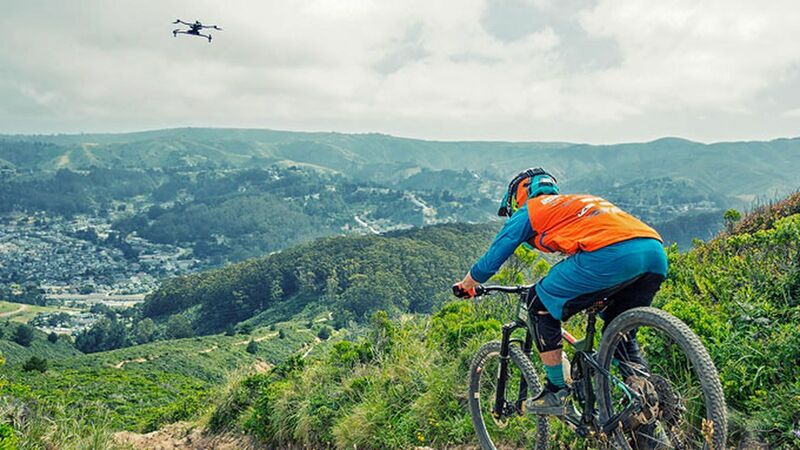 #22 A Latvian company created camera drone “Airdog”. It was the first drone with option “follow me” which gave a completely new view of amateur and professional film shooting. #23 As an independent country Latvia had a dictator: President Karlis Ulmanis. This was the golden age for the country as he helped Latvia to become one of the strongest countries in Europe export-wise. #24 We love to play chess. In 2011, 88 divers held a chess game under the water. #25 In 1957, a new space identification mission started by launching “Sputnik-1”. By creating “Sputnik -1” a lot of Latvian scientists were been involved in the creation of Sputnik. #26 In Latvia, the coldest air temperature has been -43.2 C (1956) but the highest +37.8 C (2014). #27 Juris Upatnieks was a Latvian scientist who created the 3D hologram. 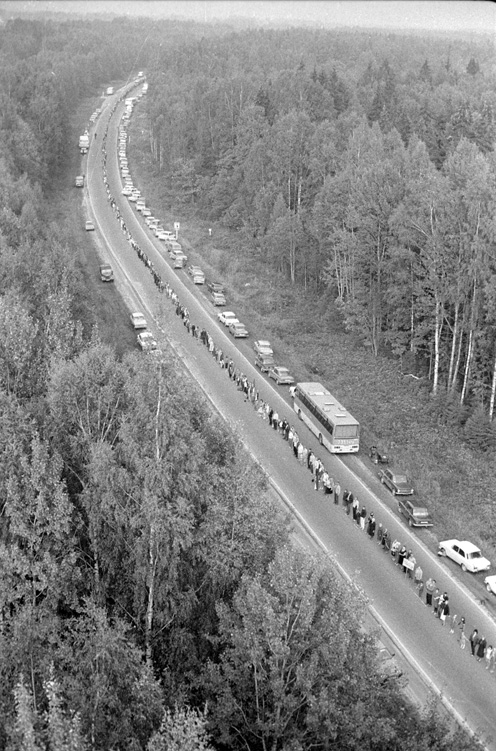 #28 As a symbol and act of independence and union between the Baltic States, a 600 km long human chain holding hands was made in 1989 from Lithuania to Estonia crossing all three countries. In 1991, Latvia restored the independence from USSR. #29 Latvians like to eat potatoes. A single Latvian consumes approx. 78 kg potatoes per year. #30 In 2014 Olympic games, Latvia got 1 medal per ½ million citizens. It was the 4th best result among 88 countries. Next week we will uncover the next 30 facts about Latvia. 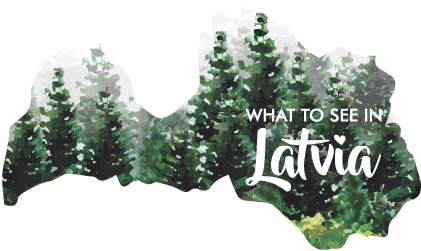 Stay tuned and share what you know about Latvia. ? ? ?